Dead Space, Dragon Age: Origins—Ultimate Edition, and SimCity 3000 Unlimited are the latest games EA has let slip from the grips of its digital distribution platform Origin. Now featured on the DRM-free GOG.com, the trio of classics has also been discounted to mark the occasion. 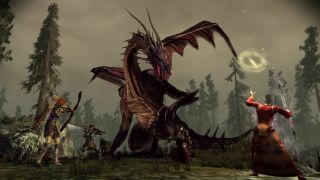 As a result you can snap up one of the best RPGs of all time Dragon Age: Origins—Ultimate Edition for £5.99/$7.89. Or the abandoned space station scare ‘em up Dead Space for the same. Or SimCity3000 Unlimited—which dates all the back to 1999, but is decidedly better than the most recent series entry—for £3.99/$5.20. “Each of today's three classic releases from Electronic Arts represents a pillar of game design: exceptional world building, mastery in storytelling, an admirable understanding of the balance between scope and focus,” reads a statement from GOG. Head on over there to check them out.